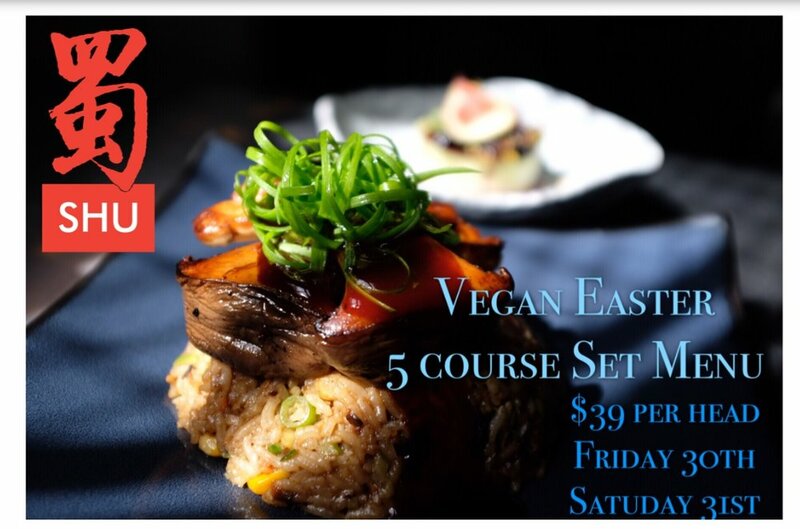 We are having a special vegan Easter this year with a 5 Course Set Menu. 1 Tea and rice smoked tofu, baby wombok, tamari almonds and Sichuan pepper. 4 Pan grilled king oyster mushroom, dark soy gravy, hometown fried rice. 5 Raw avocado cheese cake, fig and berries.